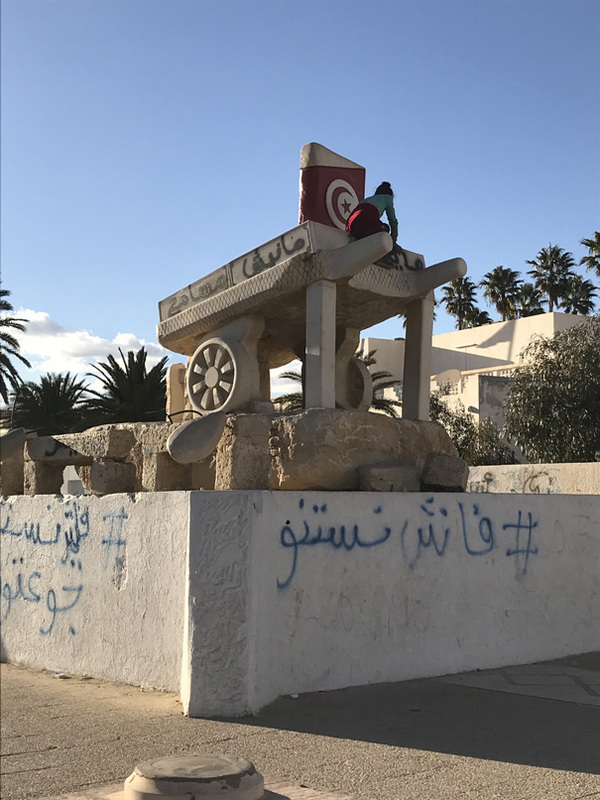 In Sidi Bouzid and Siliana, Tunisians hope that upcoming municipal elections will inject new life into a marginalized periphery. 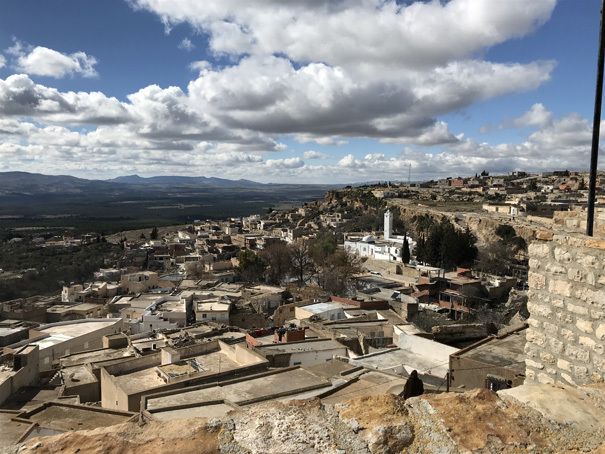 In early February 2018, Sarah Yerkes and Houda Mzioudet visited two of Tunisia’s interior regions—Sidi Bouzid and Siliana—to try to understand local expectations for the May 6 municipal elections and the country’s broader decentralization process. Sidi Bouzid, about 265 kilometers southwest of Tunis, is the town where the Tunisian uprising began in December 2010. 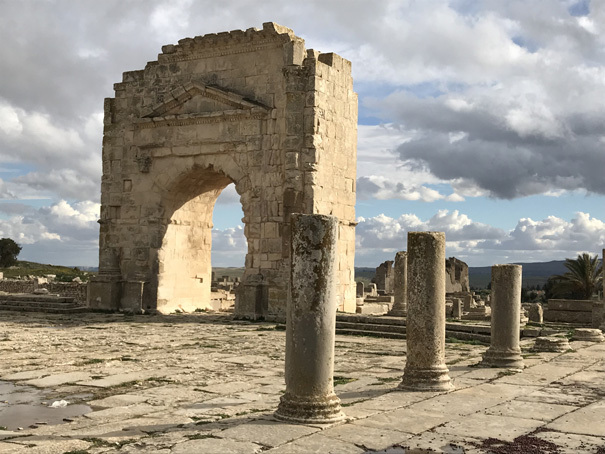 Siliana sits in the southern end of the Tunisia’s northwest region, about 128 kilometers west of the capital, and is primarily an agricultural region with numerous Roman and Byzantine ruins. Both regions were marginalized during the regimes of presidents Habib Bourguiba and Zine al-Abidine ben Ali, leading to dramatically lower levels of socioeconomic development than coastal regions. For example, in the final budget of the Ben Ali regime, 82 percent of state funds were dedicated to coastal areas, compared to only 18 percent for the interior. The drive from Tunis offers the first sign of the vast disparity between the coast and the interior. The highway between Tunis and Kairouan, about 160 kilometers south, is in good condition—wide and well-maintained. Further south, however, the route becomes unpredictable. At times it turns into a barely passable dirt road and at times becomes a pristine highway, which dramatically increases the amount of time it takes to get anywhere. 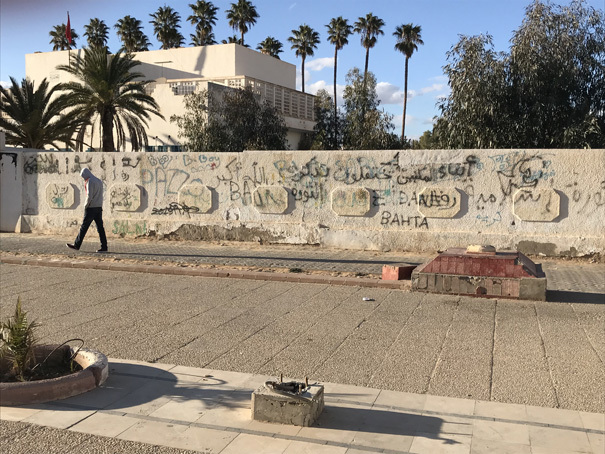 As we drove farther out of Tunis, we saw two symbols of the economic challenges of the interior: numerous young men sitting around at cafes or on street corners in the middle of the workday, and gas cans full of smuggled gas from Algeria—just one example of the informal economy that dominates this area. Since the uprising, the central government has taken steps to improve the economy of the interior through a program of “positive discrimination,” which is intended to provide for equitable (rather than equal) resource distribution, from state budget support to administrative and human resources. This is designed to level the playing field for Tunisians across the country, regardless of where they live. In both Sidi Bouzid and Siliana the people with whom we spoke—civil society activists, government officials, and candidates for the municipal elections—were both more optimistic as well as realistic about what decentralization will bring than their Tunis-based counterparts. In the interior, people view decentralization as a way of ensuring local control over local affairs. In regions that are both physically as well as psychologically far from the capital, residents hope that putting decisionmaking powers into the hands of locals will bring a more effective distribution of resources to better meet local needs. However, our interlocutors in both Sidi Bouzid and Siliana were also realistic in their expectations. As a local delegate in Sidi Bouzid said, “We have to be cautious about local democracy, because democracy is a mechanism that does not always bring the best results.” He emphasized the need for greater citizen participation in decisionmaking—another goal of decentralization that was echoed throughout our discussions. 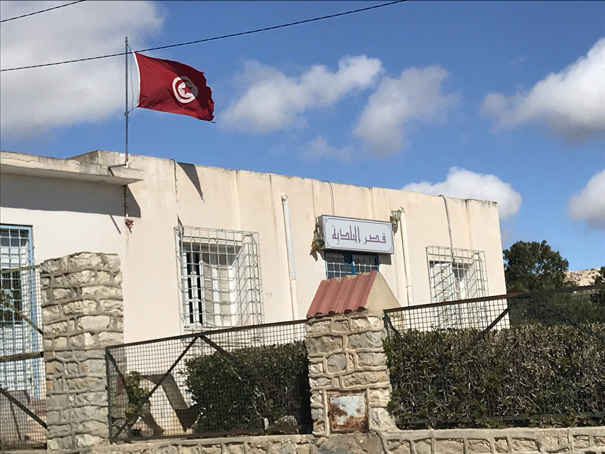 While public support for the political system is quite low nationwide, in Tunisia’s interior regions there is a palpable sense of hope that decentralization will bring some positive change. 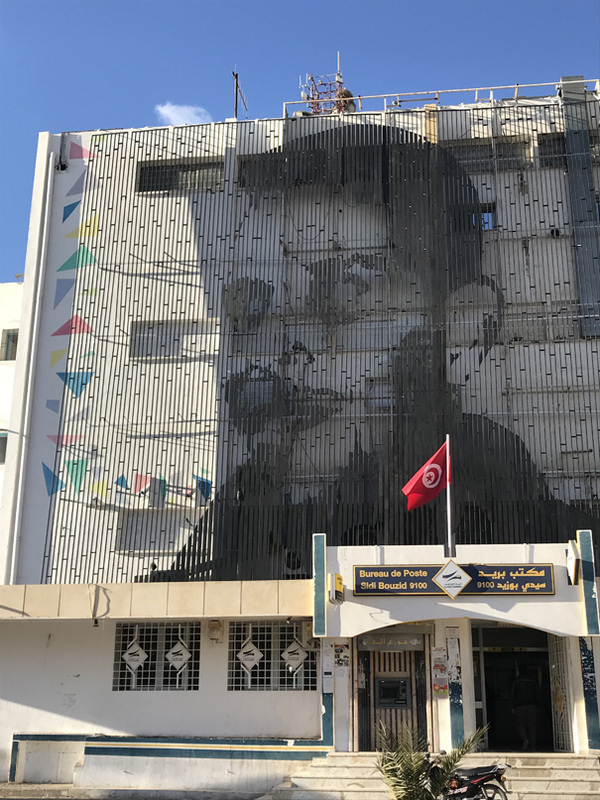 This mural of Mohammed Bouazizi hangs on the Post building in Bouazizi Square, facing the seat of the governorate. Sidi Bouzid’s fame as the birthplace of the uprising drew numerous international visitors in the months after January 2011, the result of which was that the central government prioritized road construction and other infrastructure development in Sidi Bouzid, while neglecting neighboring regions. Driving down the main road into the town of Sidi Bouzid feels almost like driving around parts of Tunis, with a boulevard full of shops and cafés lining the streets. There is even a modern-looking hotel near the edge of town, whose restaurant was populated by mostly young Tunisians enjoying a midday coffee while we were there. Graffiti covers the wall on Bouazizi Square. Prior to the uprising, the public space was closed to young people. Seven years later, local youths are still trying to claim a space for themselves in public life. This is an issue of dignity, one civil society actor explained to us. The youth of Sidi Bouzid are trying to find a balance between fighting the state and being a part of it. The Museum of the Revolution remains just a door for now. While revolutionary tourism seemed like a profitable industry in the first years after 2011, the deteriorating security situation nationwide in 2013–2015 and intermittent outbreaks of violence in Sidi Bouzid and the nearby Sha‘nbi mountains scared away many international visitors, who have yet to return. 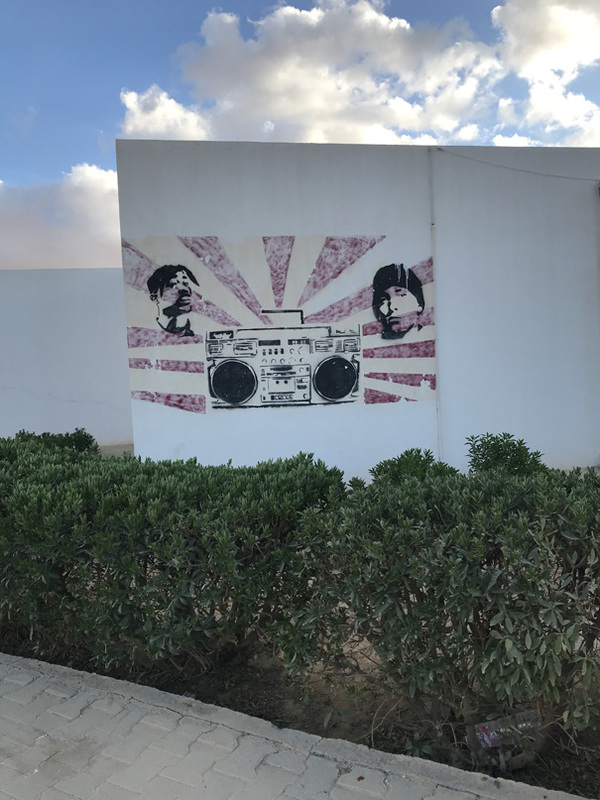 The December 17 Youth Center in Sidi Bouzid is home to a variety of sports and artistic activities for young people to “keep them distracted,” according to a local activist. Residents of Sidi Bouzid commemorate the uprising on December 17 rather than January 14—the national day of commemoration. Artistic expression on the walls of the youth center. In addition to the youth center, we visited the Microsoft-funded Academy of Innovation at Sidi Bouzid’s Higher Institute of Technical Studies. Sidi Bouzid has dramatically improved in a variety of regional indicators, moving from twenty-third out of twenty-four regions in the Regional Attractiveness Index for 2015, to thirteenth in 2016. 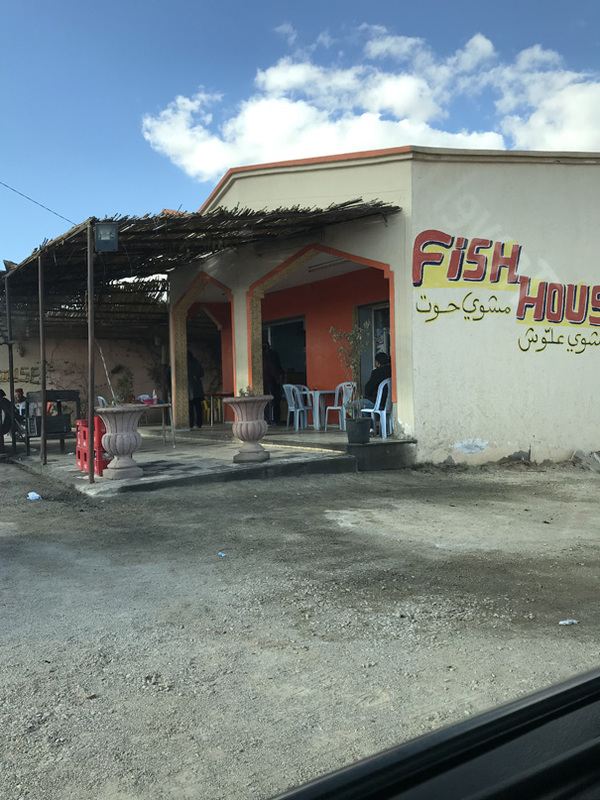 A local restaurant where we tasted the bounty of Sidi Bouzid’s agricultural zones and breathed in the fresh air. 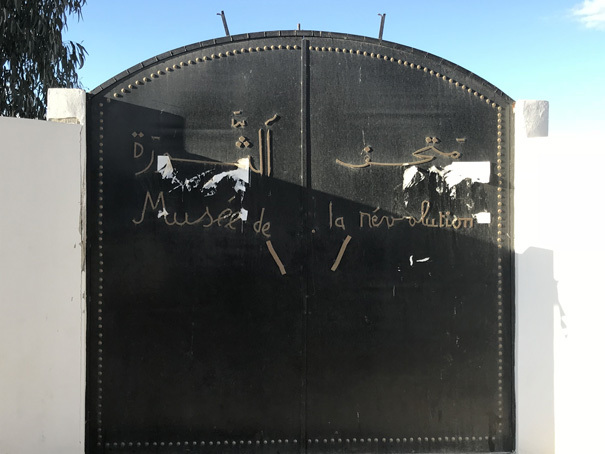 While Sidi Bouzid is famous for the uprising and political protest, our host, a local civil society activist, repeatedly emphasized that Sidi Bouzid is about much more than that. He hopes that the municipal elections will heighten the region’s visibility in Tunis. As of now, no senior official in the central government is from Sidi Bouzid, which, our host believes, makes it more difficult for the government to understand the reality of life in the region. 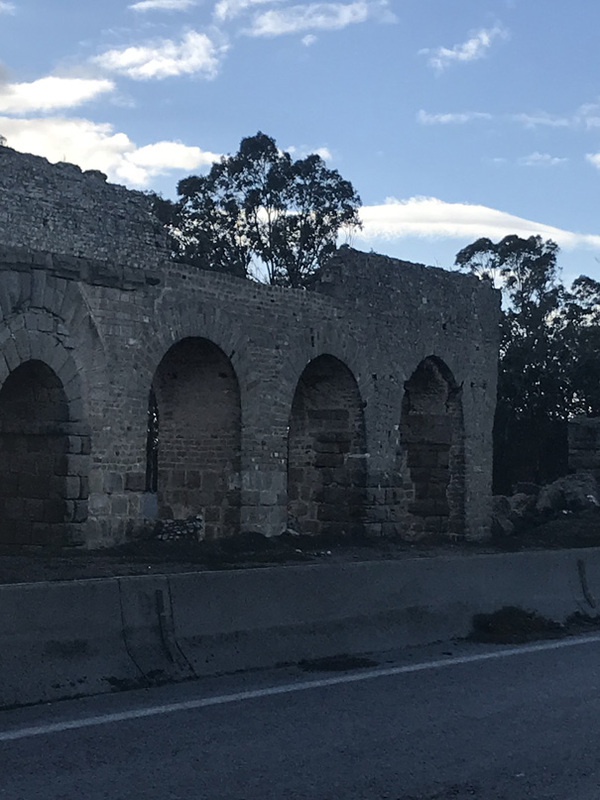 Remains of a portion of the Zaghouan aqueduct visible on the road between Tunis and Siliana. The aqueduct was one of the longest in the Roman empire and stretches 132 kilometers between Carthage and Zaghouan. 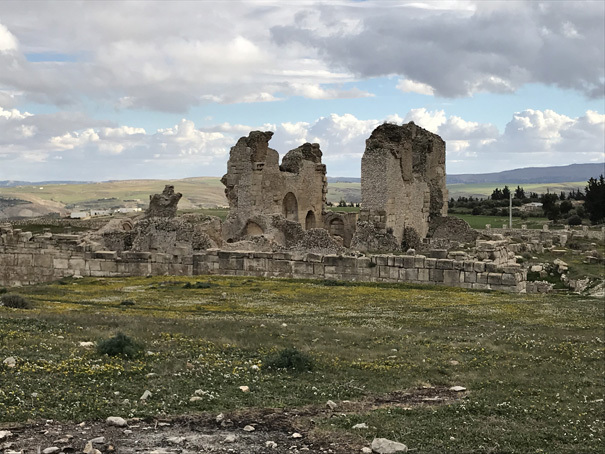 Tunisia is home to a plethora of archaeological sites such as this one that are unmarked and underdeveloped. Visitors to the interior are often surprised by how verdant the land is. 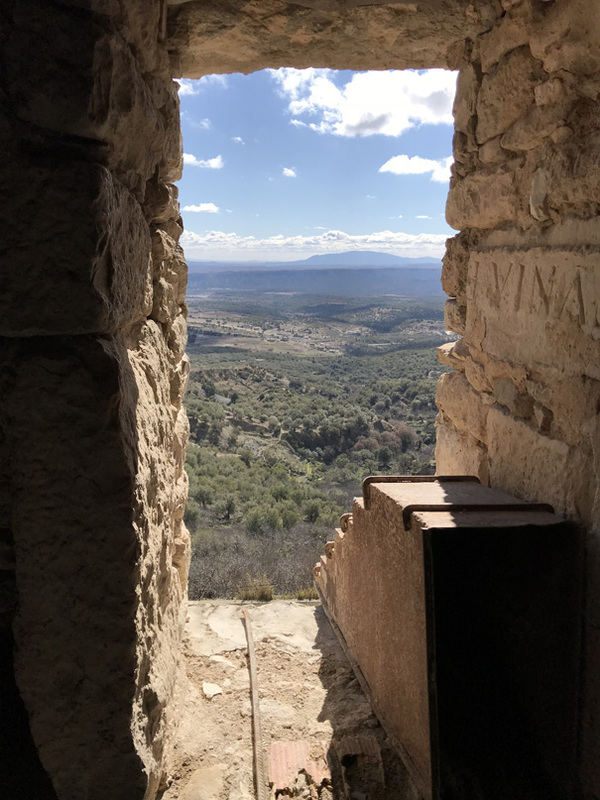 The western regions are covered in olive trees and farmland as well as lush landscapes such as this. 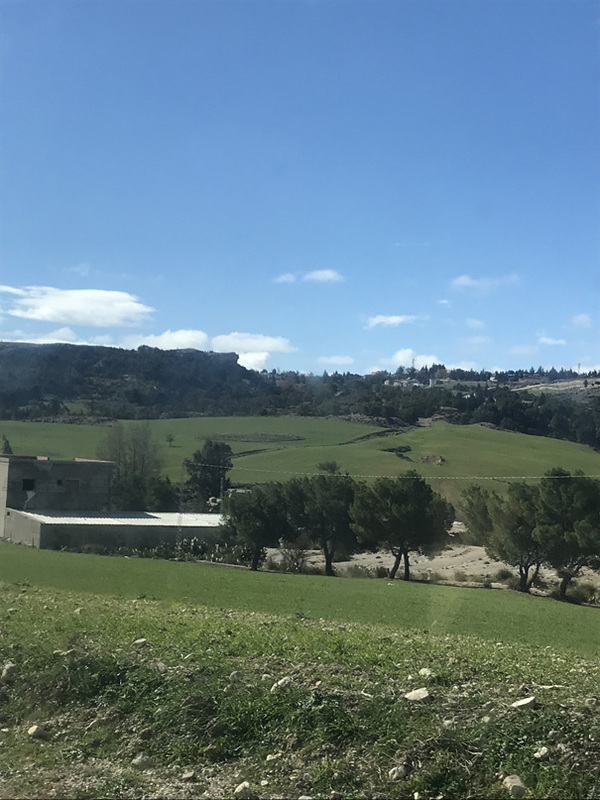 One of the candidates for municipal elections in Kesra, in the Siliana governorate, hopes that decentralization will bring much-needed resources to help modernize the agricultural infrastructure in his town. As of now, the town has an abundance of crops, but antiquated equipment to harvest them. I was told by an American expatriate in Tunis that the interior is “littered” with archaeological sites. Nevertheless, I was taken aback by the beauty and magnificence of the ruins at Maktar, in Siliana. A former Roman colony, the site is well preserved, including the Forum and Arc of Trajan, pictured here. We stumbled upon the site, which was only marked by a small plaque on a wall, barely visible from the road. Additional ruins at Maktar. Civil society actors with whom we spoke in Siliana stressed the need to increase tourism in their region. While Siliana is home to numerous potential tourist sites, very few Tunisians and almost no foreign tourists visit the sites. 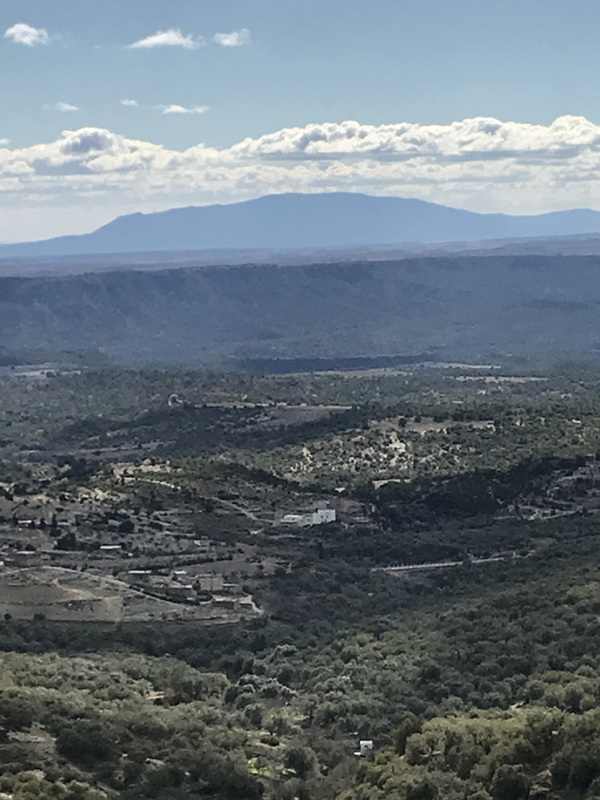 For the people of Siliana, one of the goals of decentralization is to raise the profile of these sites as well as to develop the infrastructure to properly protect them. Kesra, in Siliana Governorate, is the highest inhabited town in Tunisia. One of the civil society actors with whom we met is building a youth hostel on the top of Kesra to attract visitors. Here, Roman lettering is seen in the walls of the youth hostel. Siliana has important Amazigh roots. 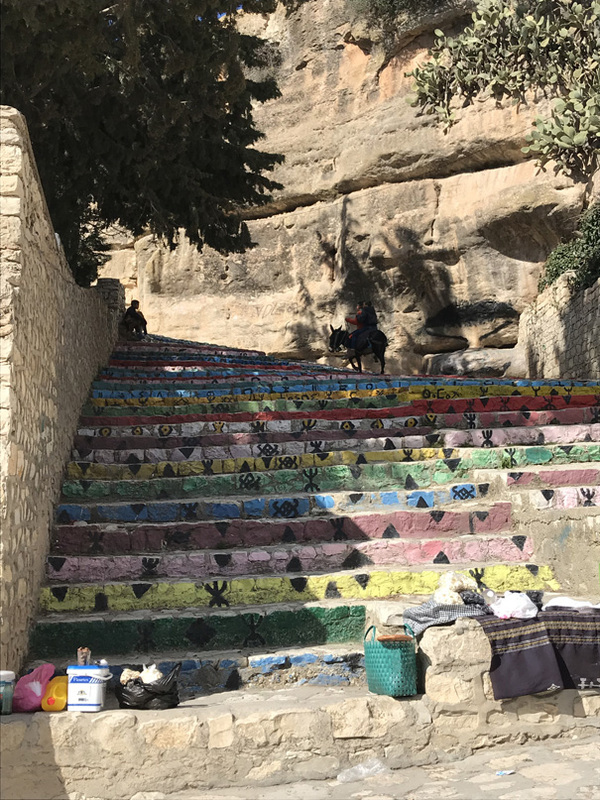 Here, Amazigh letters and symbols are painted on the steps of High Kesra. While we were there, Tunisian tourists, including a famous Tunisian actress, arrived in tour buses to hike in Kesra’s hills and sample Amazigh bread and local agricultural products. At the top of High Kesra is a museum that catalogues Kesra’s rich Roman, Byzantine, Amazigh, and modern history. The museum has well marked signs in English, Arabic, and French, yet on a beautiful Sunday afternoon, I was the only non-Tunisian there. One of our hosts expressed frustration that the central government is not invested in protecting Kesra’s archaeological treasures. 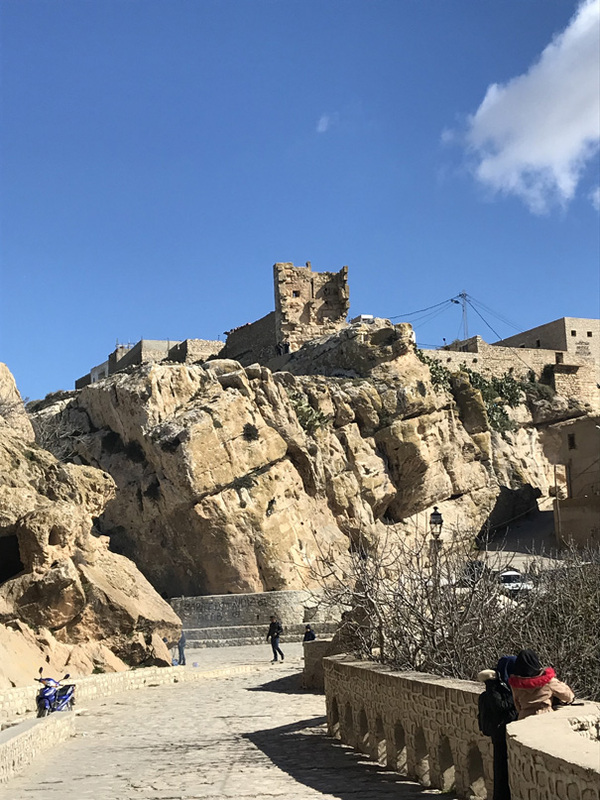 He said that he submitted multiple requests to the antiquities authorities to protect a crumbling Byzantine structure in High Kesra, but was ignored. Mount Semmana looms over Kesra. Small terrorist cells affiliated with both Al-Qa‘eda and the Islamic State use the mountains bordering Tunisia and Algeria as a place to hide out and launch attacks. 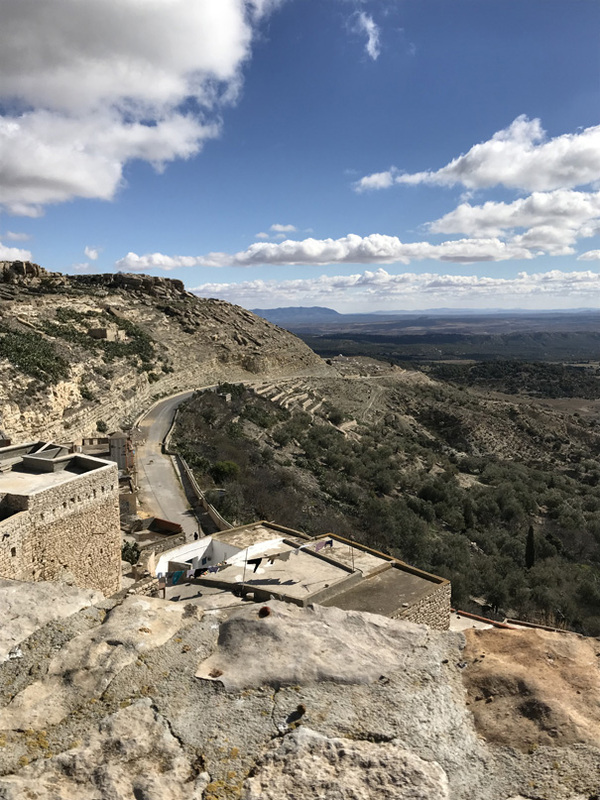 Despite their physical distance from the western regions, the mountainous border area has had a deep psychological and economic impact on them—keeping away investors and tourist, as the terrorist cells prey on young, unemployed Tunisian men to join their ranks. The view from High Kesra down to the agricultural lands below. The region of Siliana has tremendous agricultural potential. It is known as the “town of figs” and produces a large percentage of the olive oil that Tunisia exports abroad. One of the civil society actors we met in Kesra said that, with increased investment, infrastructure, and visibility, the town could be a model for organic farming and ecological tourism. A local man looks down over the main town of Kesra. Locals are trying to find ways to share their region with other Tunisians. Kolna Kesra, a local civil society organization, will hold the second “Kesra trail” run on April 22. The 18 kilometer course (as well as a 6 kilometer shorter course) takes runners all around the beautiful hills of Kesra. In the event’s first year, in April 2017, participants included runners from all over Tunisia as well as from across North Africa. 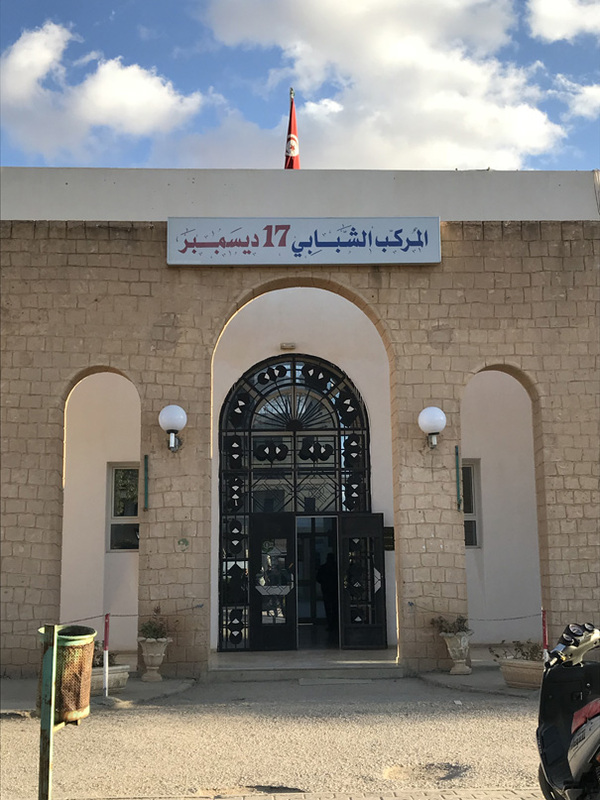 The local government office in Kesra. We met with two candidates for the May 6 municipal elections—both young men running on independent lists. They see the elections as an opportunity to bring more young people into positions of power. As one of the candidates stated, now, even when they are active members of a political party, women and youths are often “discarded” when they try to run for national office. In a positive sign, more than 50 percent of the candidates for municipal elections nationwide are under 35 years old, and more than 75 percent are under the age of 45.